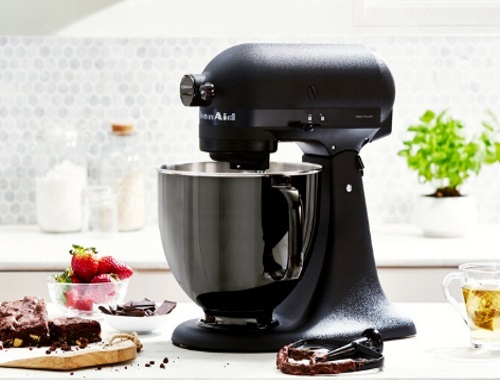 KitchenAid is giving away a KitchenAid Artisan Black Tie Limited Edition 5qt Tilt-head Stand Mixer! This Limited Edition model has been in the making for three years, with only 500 available and each individually numbered on a custom trim band. The KitchenAid Artisan Black Tie Stand Mixer is made with all black finishes and premium materials, including die cast zinc, satin, and black chrome. Inspired from the 1937 redesign of the stand mixer by Egmont Arens, and designed, engineered and assembled in Greenville, Ohio this piece is a collectible that serves as a powerful statement on your countertop. To enter all your have to do is click on the link below, opt in to receive their emails and connect wth Facebook.